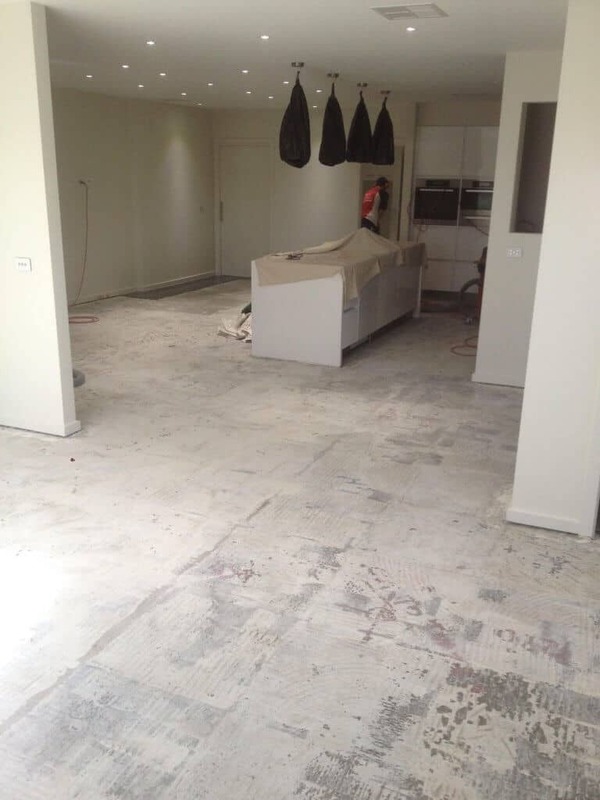 Are you sick of putting up with dust throughout your home when renovating? Or scared of even starting a renovation because of the horror stories you have heard of dust spreading everywhere and being told that there is no other way? Well now there is hope in the way of “virtually” dust free renovations! Over the past 12 months All Stripped has been experimenting and developing innovating methods of reducing, controlling and extracting dust from all of our jobs. 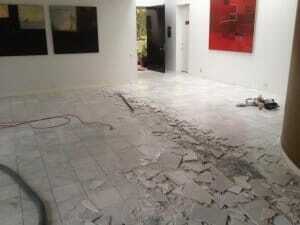 These methods are ground breaking and new to the dirty and dusty task of tile removal. With the assistance of high powered vacuum systems, and various attachments to all of our machinery, All Stripped are able to produce a “virtually” dust free environment on most work sites. Without All Stripped vacuum systems, dust would have been throughout the home! When we are completely stripping out a bathroom substantial dust is produced from removing wall plaster, render, tiles and ceilings. This dust is still reduced by use of our vacuum systems, but not dust free. 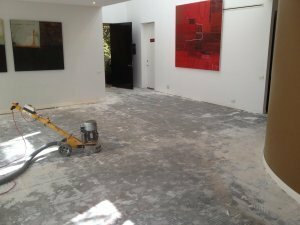 All Stripped has high powered machinery for floor stripping and dust removal, these machines require a large amount of electrical power, some houses & Units with old electrical wiring & fuses have minimal power outputs are not capable of running all of our equipment. This is now the cleanest of our tasks, all dust is extracted at floor level whilst removing tiles. 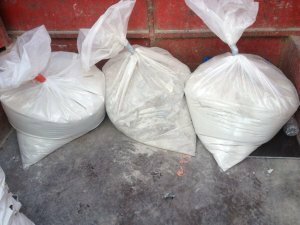 Remaining tile glue is removed using concrete grinders with powerful vacuums attached. This means that dust is not left to flow throughout your home. Proof of this can be seen by the large bags of dust show in photos on this page. All of this dust was extracted from one job, which otherwise would have floated throughout your home. 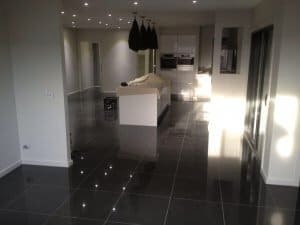 Slate, Terracotta or tiles & screed removal. 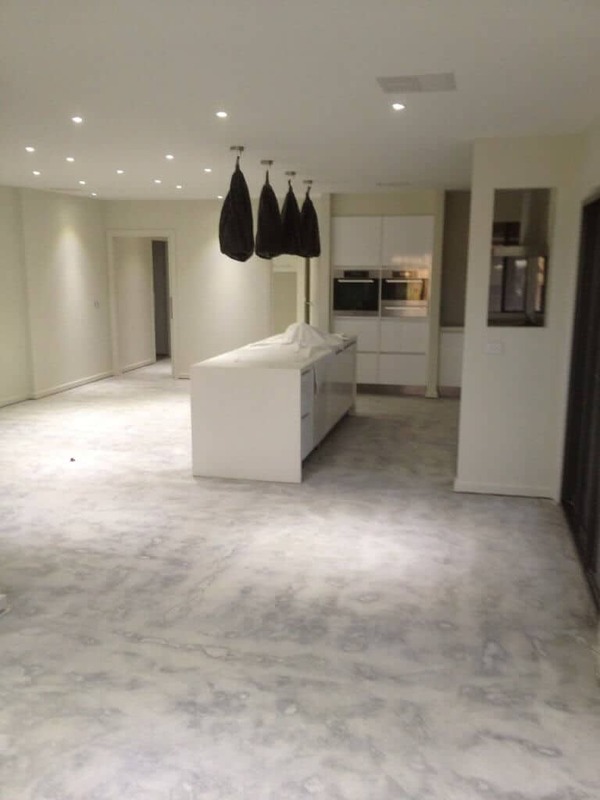 Previously this has been a very dusty process, and whilst there is still substantial dust from the impact and breaking up of tiles & screed, All Stripped Dust free solutions suppress this dust, keeping the dust at ground level then extracting the dust with high powered vacuum cleaners and stopping this dust spreading throughout your home. All Stripped will continue to develop and improve our systems and services to ensure our clients receive superior workmanship and service every time. During the process of tile removal, large vacuums are used to extract dust, stopping dust spreading throughout your home. 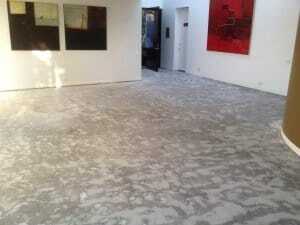 Work complete, clean smooth floor and no dust.